"He was born in the state of Maranhao, the poorest Brazilian State, so has spent his 60 years of life traveling the Trans-Amazonian Highway over and over again looking seeking out his fortune. 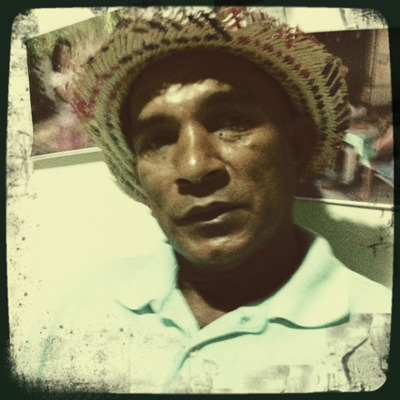 He witnessed the construction of the Trans-Amazonian Highway and all its devastating consequences in the past few decades. He has spent all his life along this road, where he has worked as “garimpeiro” (illegal miner), woodcutter and cowboy, among other jobs. Over the course of his life he has also been enslaved in remote farms located deep in the forest, until he managed to escape."